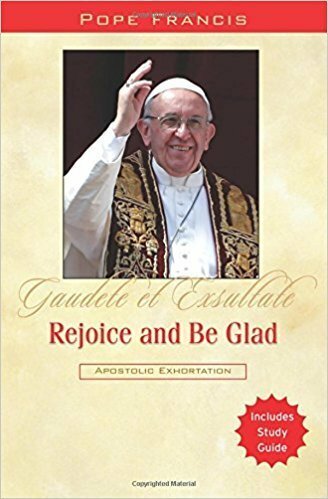 In this apostolic exhortation on holiness, Pope Francis reminds you that being holy is an attainable goal. "Do not be afraid of holiness. It will take away none of your energy, vitality or joy. On the contrary, you will become what the Father had in mind when he created you, and you will be faithful to your deepest self. To depend on God sets us free from every form of enslavement and leads us to recognize our great dignity. ""We need a spirit of holiness capable of filling both our solitude and our service, our personal life and our evangelizing efforts, so that every moment can be an expression of self-sacrificing love in the Lord's eyes. In this way, every minute of our lives can be a step along the path to growth in holiness." You were not created for a bland and mediocre existence, but for happiness!